Happy Friday! 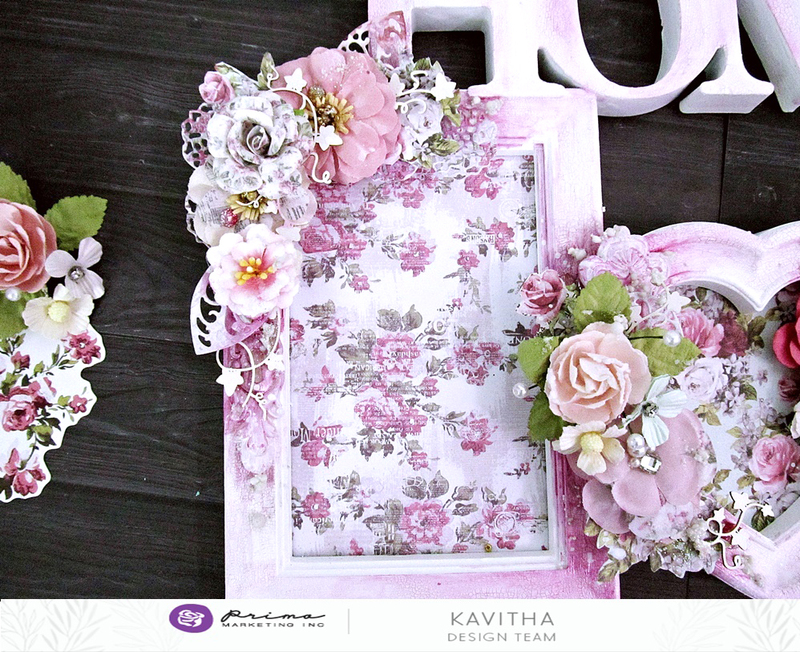 We are wrapping up this week of inspiration with a fabulous altered project by Kavitha featuring Misty Rose + Prima metal dies! 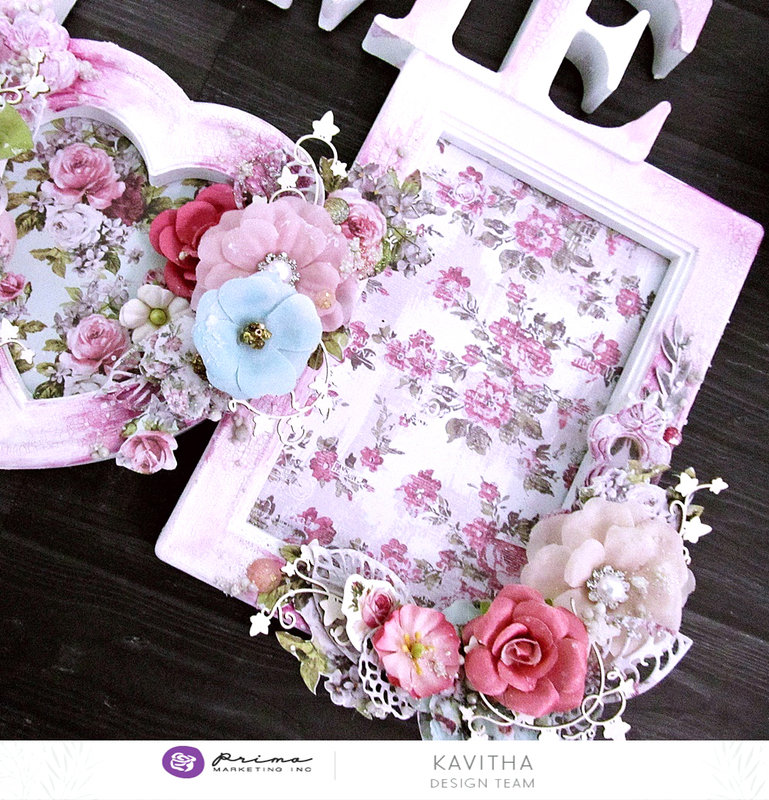 To decorate my frame I have used gorgeous new "Misty Rose" collection papers and flowers. With a few coats of gesso the surface become paintable! Gesso is magic, isn't it? For a more natural look I added a thin layer of white crackle paste and a little bit of color using art alchemy paints. i n s p i r e d ? If you missed any of our posts this week here is a review!